The Serena Hotels Group which is a top notch hospitality investment in East Africa an Asia operating in various countries including Uganda where the affluent Uganda safari undertakers spend their nights while in Kampala is in the joyous moods after securing a twenty (20) million United States Dollar loan to redevelop and refurbish its establishments. The refurbishment and the redevelopment process which is slated to commence next year (2016) will be facilitated by the loan which has been secured from the French Development Agency named Proparco. The fund facility is aimed at funding the capital expenditure that is required by the Portfolio of Kenyan lodges, hotels and Camps as noted by the TPS Eastern Africa managing director Mahmud Janmohamed. 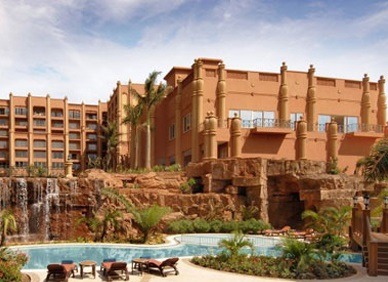 It is noted that the first priority is Nairobi Serena Hotel which will see the new conference center built along with banqueting services, public places and bed rooms. This will be to the addition of the company’s ongoing refurbishment of its facilities including the finished Mara Serena Lodge refurbishment, addition of new twelve (12) tents at Sweet-water Serena Camp, bedroom refurbishment at Mombasa Serena Beach Resort and at the Kilaguni Serena Safari Lodge. In Uganda, the initiative will add a count of 32 bedrooms, meeting as well as food and beverage facilities to the satisfaction of the up class travelers that undertake safaris in Uganda. The Dar es Salaam Serena Hotel will also be refurbished January 2016. It can be noted that the Serena Group features twenty four (24) luxury hotels, camps, safari lodges and resorts distributed in the countries of Uganda, Mozambique, Kenya, Zanzibar, Tanzania and Rwanda. It also features eleven (11) establishments in the countries of Tajikistan, Pakistan and Afghanistan all in Asia. The Proparco Chief Executive Officer Mr. Claude Periou noted that the agency is honored to extend support to the TPS which has demonstrated the zeal of undertaking sustainable tourism that is culturally sensitive in the undeserved regions of the world. The loan will extend for eight years and is set to finance capital expenditures lasting for about 24 months commencing 2016.